Are you looking for one last kickass Kickstarter project to get involved in before the holidays? If so, you should totally check out Pitta. 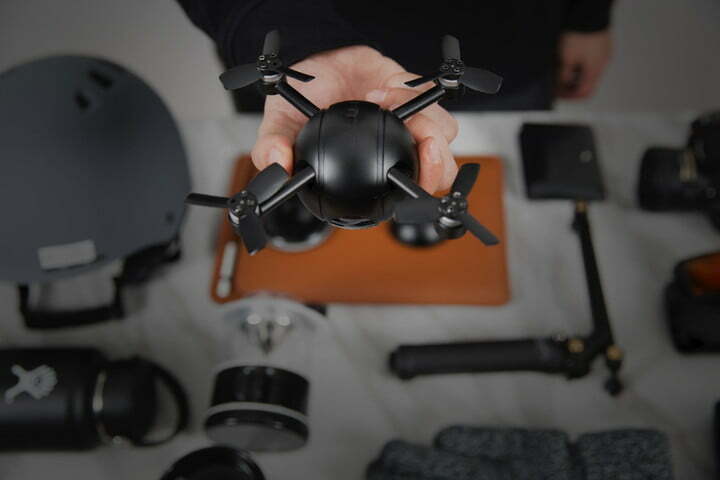 A combination action cam and camera drone that resembles a high-tech version of the “golden snitch” from Harry Potter, Pitta boasts a nifty modular design that gives it several interesting uses. Whether you want to mount it on your bike like a GoPro or take to the skies, Pitta is a complete system packaged into a single device, with a modular snap-and-twist-to-lock design that lets you easily switch between modes. It’s definitely a nifty idea, and it promises some impressive capabilities, including the ability to shoot 4K 30fps video and 13-megapixel stills. The drone component can be controlled from your smartphone, although it also promises to automatically follow moving targets, orbit a stationary target, and land autonomously. When do you don’t want it to be a drone, simply snap on the action cam mount to attach it to your bike, — or even use it as a home Wi-Fi home security camera that live-streams to your device. If you would like to get your hands on a Pitta transformative autonomous 4K selfie drone, you can place a pre-order on Kickstarter right now. Prices start at $269, with shipping set for April 2018. Share the post "Pitta is a palm-sized drone that moonlights as an action cam and security system"